This dynamic saddle stool features a seat that subtly moves with the operator. Research shows that a seat that allows movement of the lumbar spine is linked to reducing low back pain. The height is easily adjustable with a handy control ring. No more groping for levers! The seat is heavily padded and extremely comfortable. The seat contour is medium wide and fits most operators well. This stool is not available with armrests or a backrest. Don’t waste money on non-ergonomic loupes, frame or shields that can create neck pain! 3 ways to make your existing TTL loupes more ergonomic! The SurgiTel front-lens-mounted meets my ergonomic criteria for keeping the head within a safe working posture of less than 20 degrees of neck flexion. 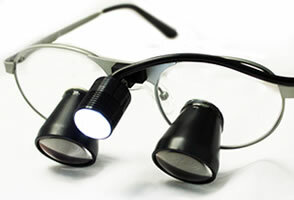 It is also one of the lightest weight front-lens-mounted loupes on the market. A vertical slide adjustment enables an excellent declination angle (and head posture). 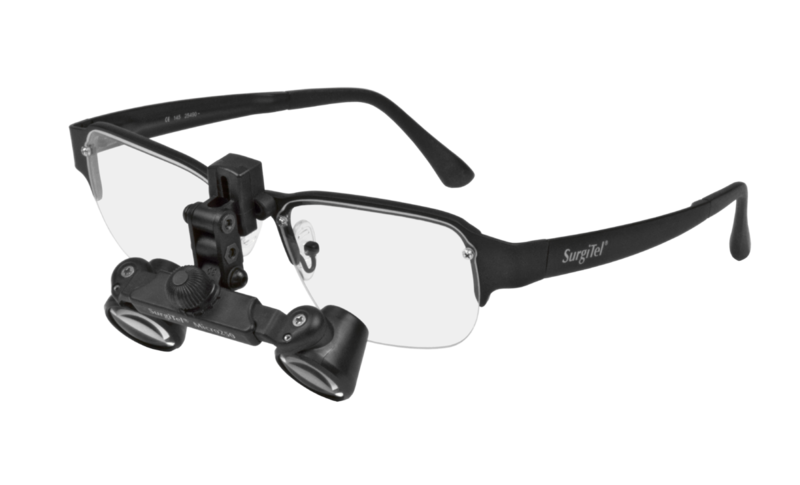 The combination of lightweight and steep declination angle makes the new SurgiTel front-lens-mounted loupes an outstanding choice for dentists and hygienists. The frame selection, shield size, shield shape and flip-up adjustment are extremely important considerations. Watch Dr. Valachi’s Ergonomic Guidelines to Selecting Dental Loupes video for more information. 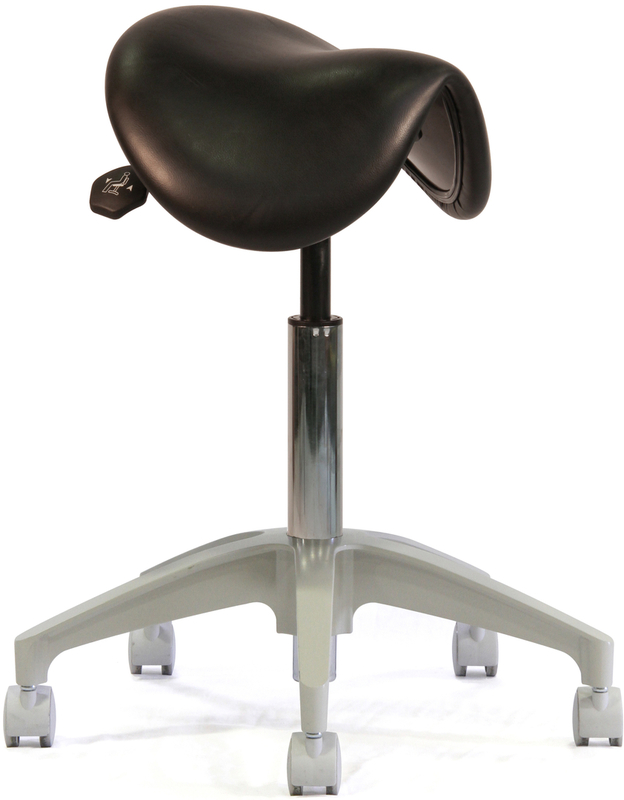 This ergonomic saddle-style stool by RGP facilitates the same desirable leg position as a saddle stool, but without the groin compression and also offers a very contoured backrest that provides stable support. 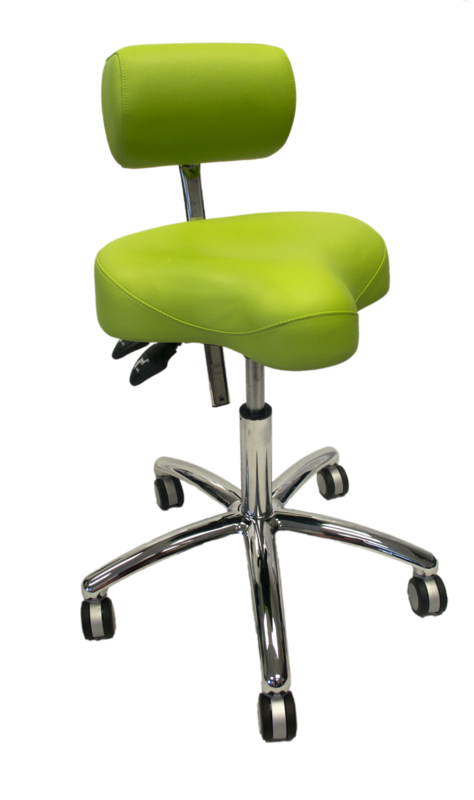 The stool solves many ergonomic problems, depending upon the dental operators’ height, weight, specialty, gender and lumbar spine curvature. All are important considerations in selecting this stool for specific team members. Need help deciding? For Virtual Coaching, click here. The Q-Optics vertically adjustable flip-up loupes easily meet my ergonomic criteria for keeping the head within a safe working posture of less 20 degrees of neck flexion, when mounted in the correct frame. This flip-up has an excellent declination angle, comfort & ease of adjustment. The flip-up is very lightweight and rivals many of the TTL weights on the market! A vertical slide adjustment enables an excellent declination angle. The frame selection, shield size and flip-up adjustment are extremely important criteria. For more information, watch Dr. Valachi’s Ergonomic Guidelines for Dental Loupes Selection video. The ‘sit bones’ rest on a flat surface, while the seat cut-outs allow the thighs to angle steeply downward providing similar postural benefits as a saddle stool. The newest version of the ErgoSolex stool has a shorter ‘nose’ on the seat that allows closer positioning to the patient, and a much plusher memory foam seat. 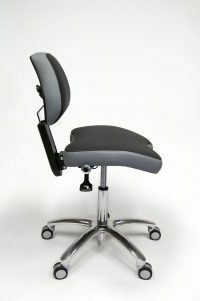 The dynamic backrest can move with the user. Important considerations on whether to use this stool include height, weight, gender and lumbar curvature. Some team members will benefit from utilizing armrests. 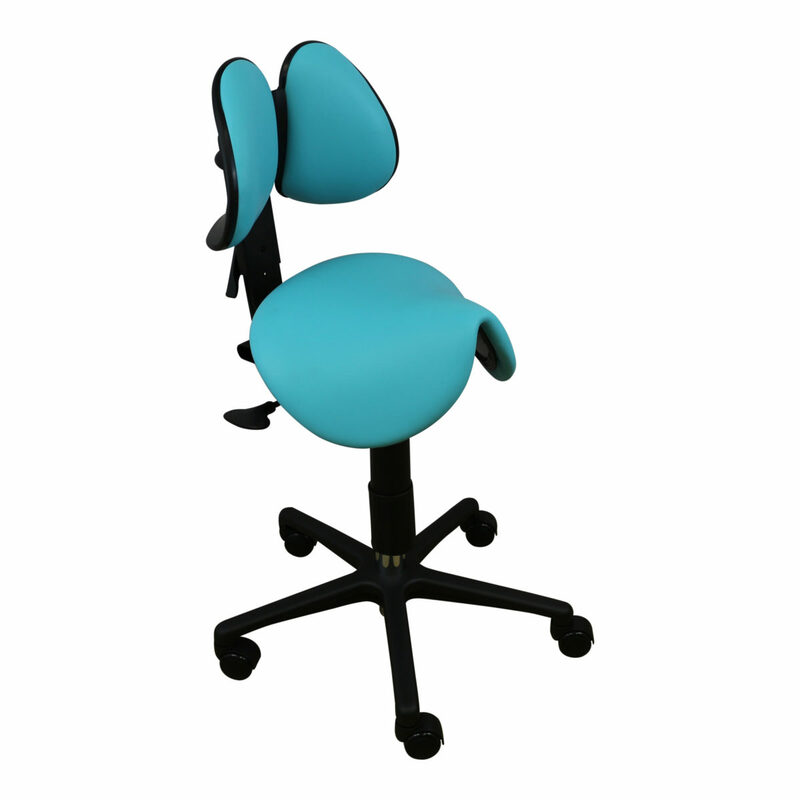 Three backrest sizes are available, and selection depends upon weight and lumbar curvature. 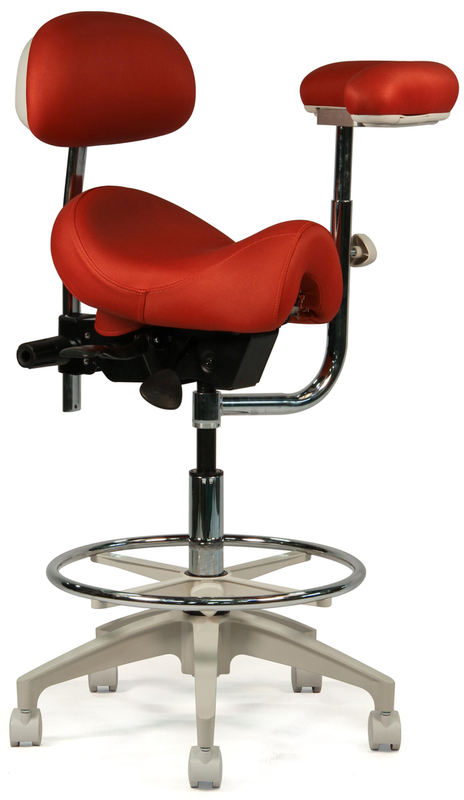 The RGP Straddle stool features a saddle seat combined with a supportive backrest. Recent research supports the addition of a backrest to dental seating to reduce muscular effort. Important criteria in selecting this stool include gender, body size (small, medium or large pelvis) and lumbar curvature. Some team members will benefit from utilizing armrests, depending on pain pattern. Need help deciding? For Virtual Coaching, click here. This assistant saddle stool has a very narrow seat. Saddle seat shape is the most important criteria to consider in assistant saddle stools, due to the biomechanics that occur at the pelvis and hip with slight torso rotation in abducted hip postures. Selecting the wrong shape can lead to back pain. Other important criteria include height and weight. 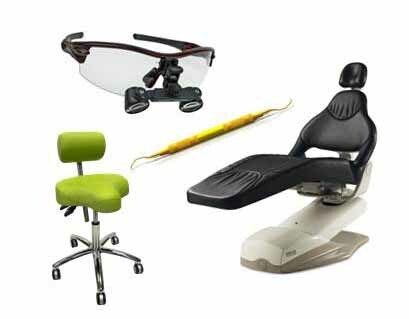 Make sure the seat and backrest are adjusted properly as per guidelines in “Practice Dentistry Pain-Free”. The Heine 3-axis flip-up loupe mounted on an S-frame provides a steep declination angle that keeps the operator in a safe head posture. 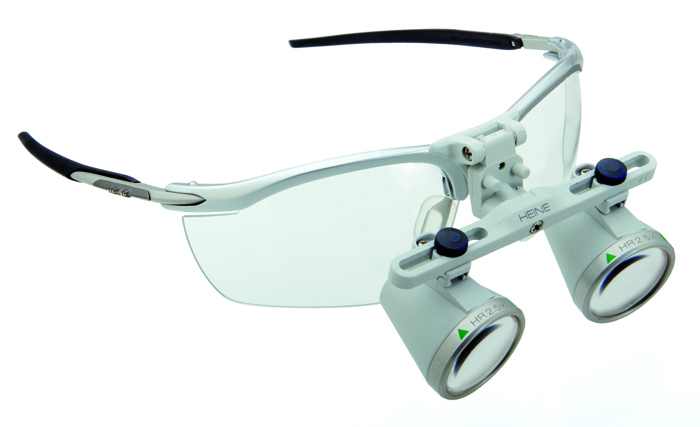 The optics of the Heine loupes are exceptional.The frame selection is an one of the most important criteria. Selecting the wrong frame style can negate the ergonomic benefits of the loupe, and depends upon height of nose bridge, cheekbones and how deeply eyes are set. Make sure the 2 key ergonomic components–vertical adjustability and declination angle–are correctly adjusted! Watch Dr. Valachi’s Ergonomic Guidelines to Select Dental Loupes video for more information. The CordEz was designed by a dental hygienist to help reduce musculoskeletal strain and pull of cords on ultrasonic and air polishers. It has a universal slot that fits most ultrasonics & air polishers and an adjustable band to fit your wrist or arm. The SurgiTel Eclipse LED headlight is extremely lightweight, making it a favorite among dental professionals. The Eclipse LED Headlight’s switching technology uses an advanced infrared proximity sensor: the light turns on and off by waving the hand in front of the sensor. This technology can eliminate potential cross-contamination by touching battery packs or switches. According to independent researchers, SurgiTel headlights offer the bet color accuracy and are safest to the eyes due to their balanced achromatic beams. In my opinion, the Crown Seating Silverton saddle is the ‘Goldilocks’ of saddle stools. 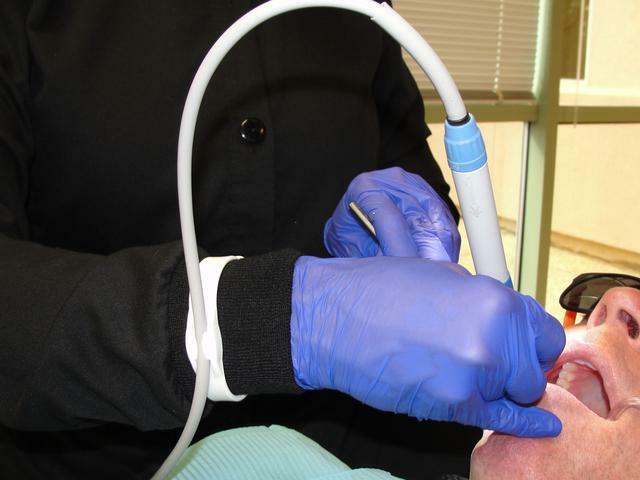 It is not too wide, too narrow, too hard or too soft a majority of dental operators. 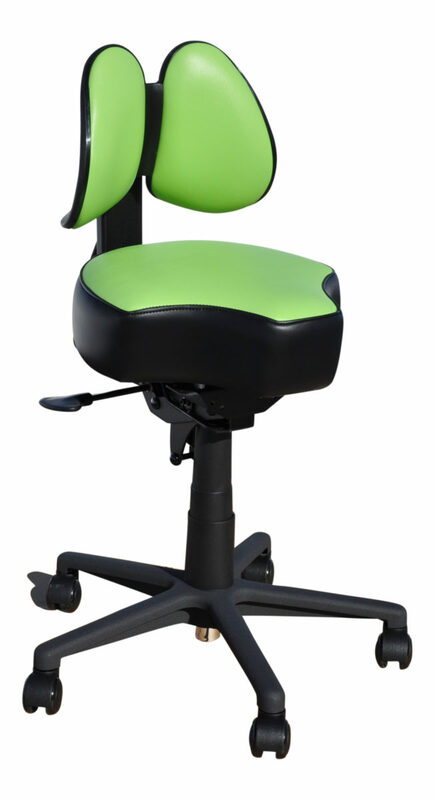 It has a new soft foam technology seating is extremely comfortable and distributes weight evenly. Recent research supports the addition of a backrest to dental seating to reduce muscular effort. Important criteria in selecting this stool include gender, body size (small, medium or large pelvis) and lumbar curvature. Some team members will benefit from utilizing armrests, depending on pain pattern. For Virtual Coaching, click here. Designed by a physical therapist, the Back-Up Stool features a unique adjustable ‘oblique’ section on the front of the stool to allow closer positioning to the patient and also accommodate various user heights. The ‘sit’ bones rest on the horizontal part of the seat, while the thighs rest on the oblique section and slope downward. 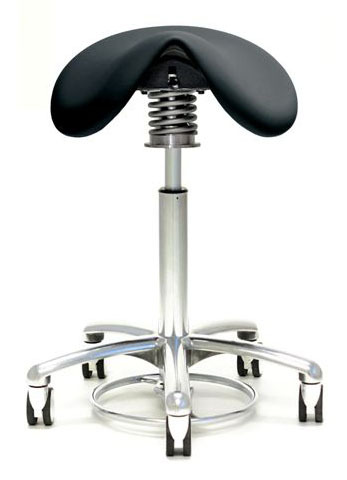 This is my other ‘go to’ stool for medium & tall dentists who cannot tolerate a saddle-style stool. The UltraTrim chair features a narrow, thin upper backrest that allows optimal access from 9-12 o’clock positions. Chair base located so it does not interfere with operator stool position. The Bjorn saddle stool is mounted on a large coil spring allowing “all-directional-floating-body-movements” with the unlocked. In recent research, seating that moves with your pelvis (allowing lumbar motion) has been shown to reduce low back pain. You can also exercise and strengthen your core muscles while you work. This new all-purpose curette by American Eagle was designed to minimize hand fatigue by requiring less force than traditional curette designs. It is described as a ‘double Gracey’ design with 2 cutting edges that adapt to mesial & distal surfaces. A rounded toe design enable safer access to subgingival areas, and long shank angle with slimmer blade to access pockets. 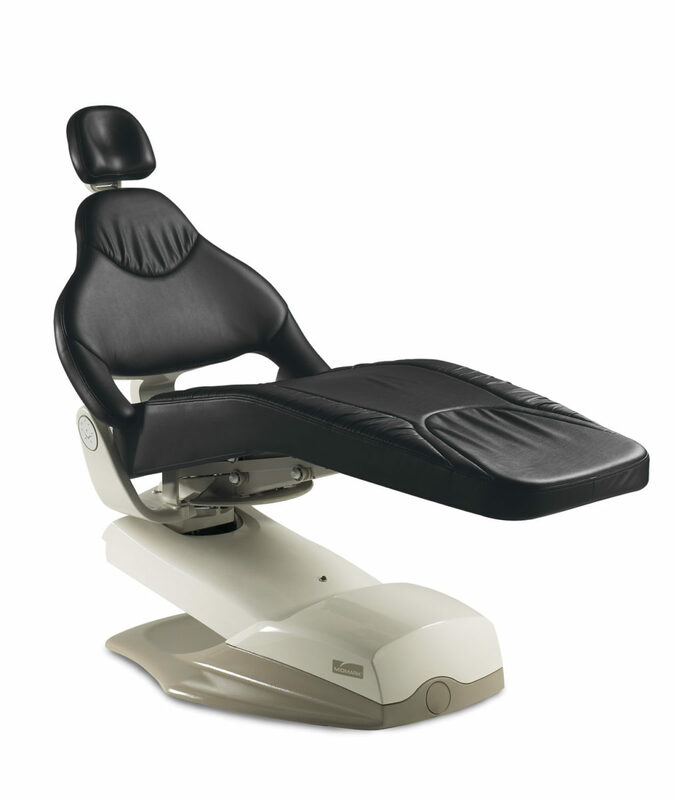 Dental ergonomic headrests are powerful positioning aids that improve patient comfort and tolerance to reclined positions–thereby improving the dentist or hygienist’s best working posture. Typically, dental operators use non-dental neck cushions that are too large and push the head forward and down. The cushions are available in two sizes to accommodate both flat and double-articulating headrests. Low Profile Headrest: Realizing the need for an ergonomic cushion that fits double-articulating headrests, Dr. Valachi designed this smaller Low Profile headrest cushion to improve ergonomic positioning and patient comfort. When properly positioned, the cushion ergonomically positions the patient to preserve the operator’s best working posture. 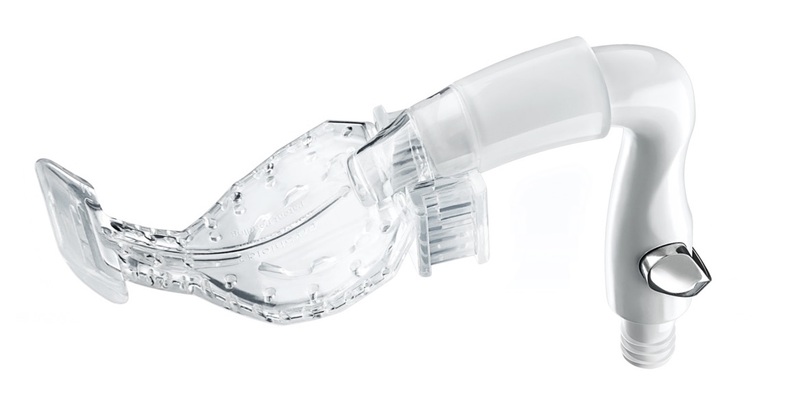 Use on all double articulating headrests and for smaller patients with flat headrests. 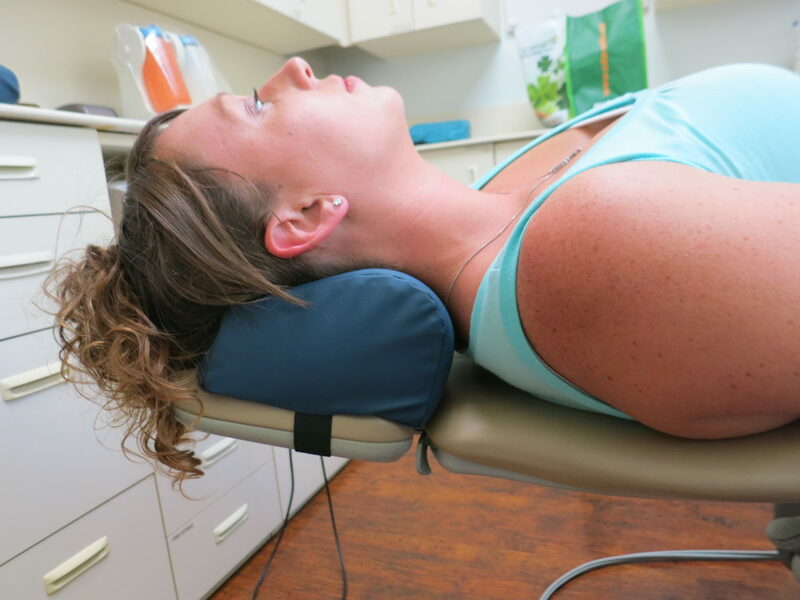 Original Headrest: Designed to be used with flat headrests, the larger headrest cushion improves patient comfort so the operator can gain control of the occlusal plane to optimize their working posture. Features: Ultraform gloves are the next step in the evolution of ergonomic ambidextrous gloves by Microflex. Features are extremely soft yet thin glove that facilitates superior tactility. Two out of three evaluators preferred the Microflex Ultraform gloves over those gloves they were currently using. Smaller than a dime (0.65″ in diameter) and lighter than a nickel (0.13oz or 3g), Feather Light LED is a very lightweight and small LED loupe-light. The design and use of aircraft-grade aluminum alloy allows Feather Light to be very optically efficient while providing lightweight comfort. 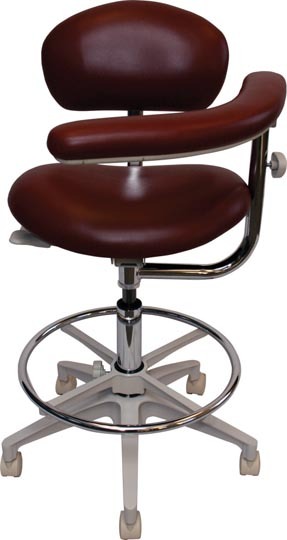 This assistant saddle stool is ideal for a medium-to-tall assistant working with a medium-to-short dentist, as it has no foot ring. 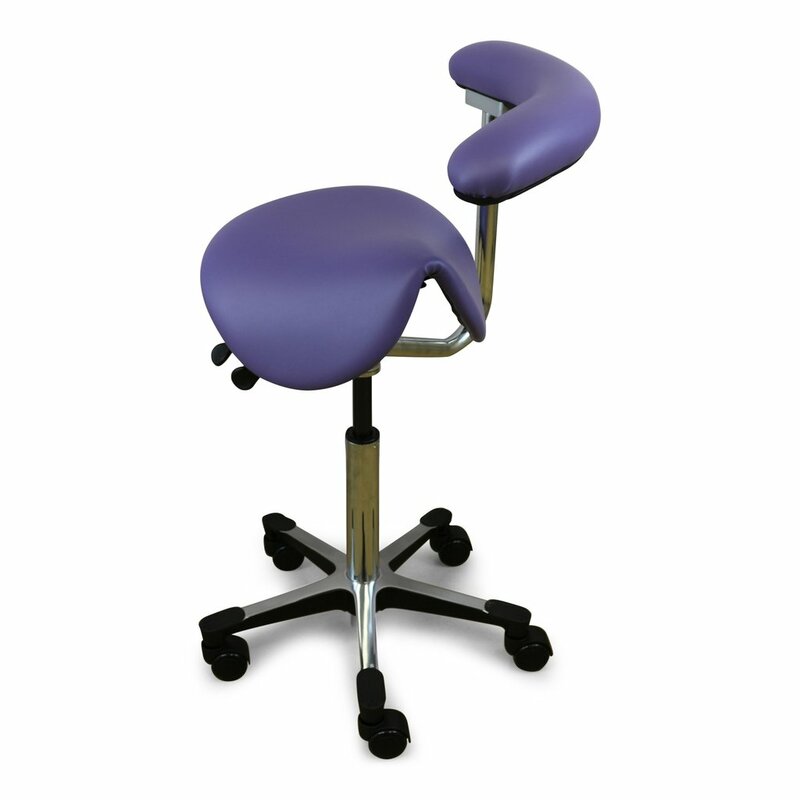 Due to the seat shape, use this stool only when directly facing the patient, to prevent twisting. It is critical that the torso support bar on this chair is adjusted correctly, and the assistant is positioned correctly chairside. 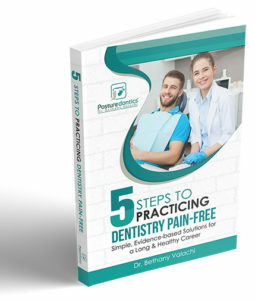 To gain full benefits, follow assistant guidelines in Chapters 11 of “Practice Dentistry Pain-Free”. This stool is ideal for medium-to-short height assistants, and features a short, narrow seat pan. Shorter assistants may need to order a ‘tall’ cylinder. A tilting seatpan, adjustable backrest and torso support bar make this a very comfortable and stable base for the assistant to operate from. It is critical that the torso support bar on this chair is adjusted correctly, and the assistant is positioned correctly chairside. Follow adjustment and positioning guidelines in the assistant chapter of “Practice Dentistry Pain-Free”. 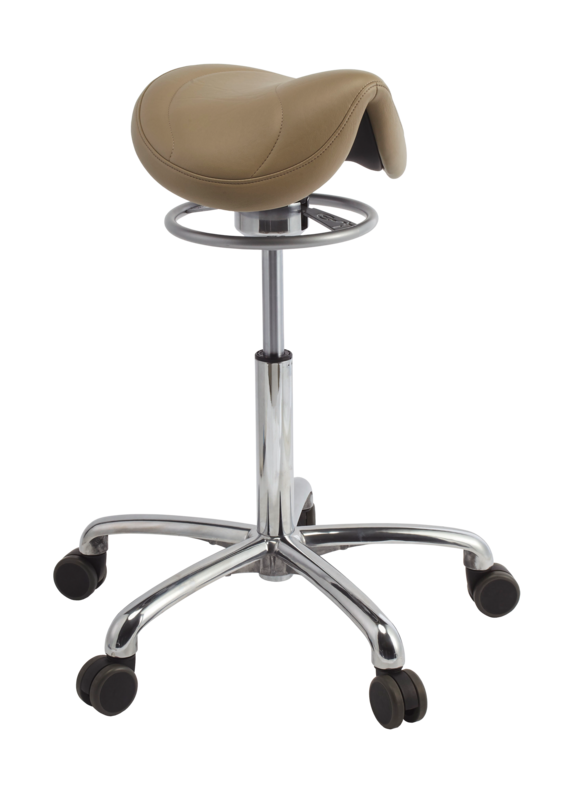 Crown Seating also makes a larger version of this stool (C60ABT) for larger stature assistants. This is a good idea if only larger assistants will be using the chair, however the stool is too large for most average size operators.